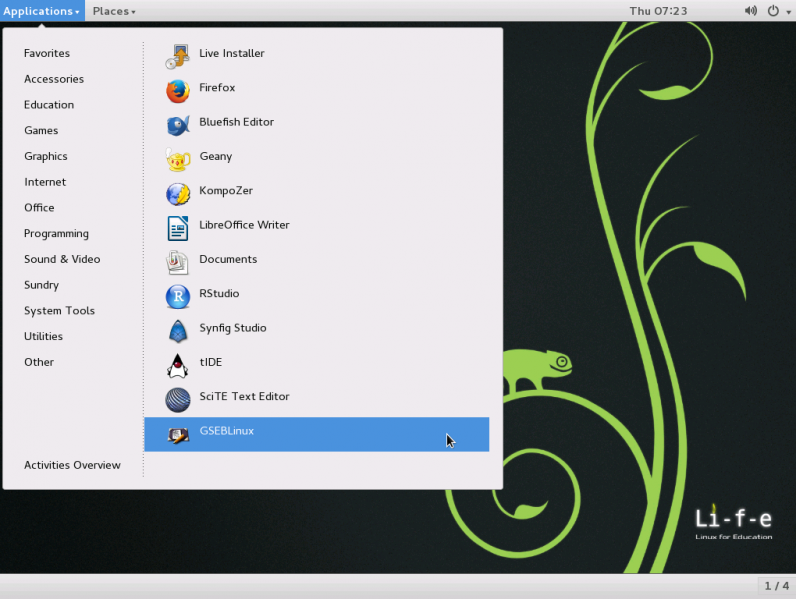 The openSUSE-Education team is proud to announce the availability of another great release: the GNOME classic edition. are added to the (already huge) list of available applications. BTW: openSUSE Education releases always contain the latest official openSUSE updates and other cool stuff, so you should be able to get an up-to date live system up and running in a few seconds/minutes (depending on your hardware) – which can also be installed on your local hard disk with just a few mouse clicks. Just click on the “Live-Install” icon on the desktop. You want to join the team? Just ping us at #opensuse-education. We are hiring community members to help out on web work and marketing (be warned: we currently pay in honor and fun). 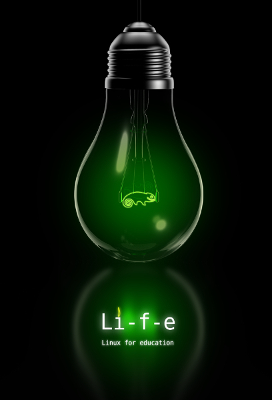 The openSUSE-Education team is proud to present a special, 64-bit edition of openSUSE Edu Li-f-e with the MATE desktop environment. The MATE desktop was choosen as default desktop manager as it looks close to the pictures in their textbook, however latest GNOME desktop is also available at the login screen. MATE is well known for being a traditional desktop environment, a fork of the classic GNOME 2 session. It uses a two-panel layout and darkish theme, as well as a neat collection of educational apps, such as gElemental, Scilab, Xcos, Scinotes, Geany, Inkscape, Synfig Studio, Bluefish, Epoptes, and LTSP. Default applications include the Pidgin multi-protocol instant messenger, Mozilla Firefox web browser, GIMP image editor, pluma text editor, VLC Media Player, as well as the entire LibreOffice office suite. Download the operating system as a Live DVD ISO image that must be burned onto a DVD discs or written on a USB flash drive in order to boot it from the BIOS of the PC. As with all openSUSE-Education releases, we based on the recently released openSUSE (13.1) with all the official online updates applied. 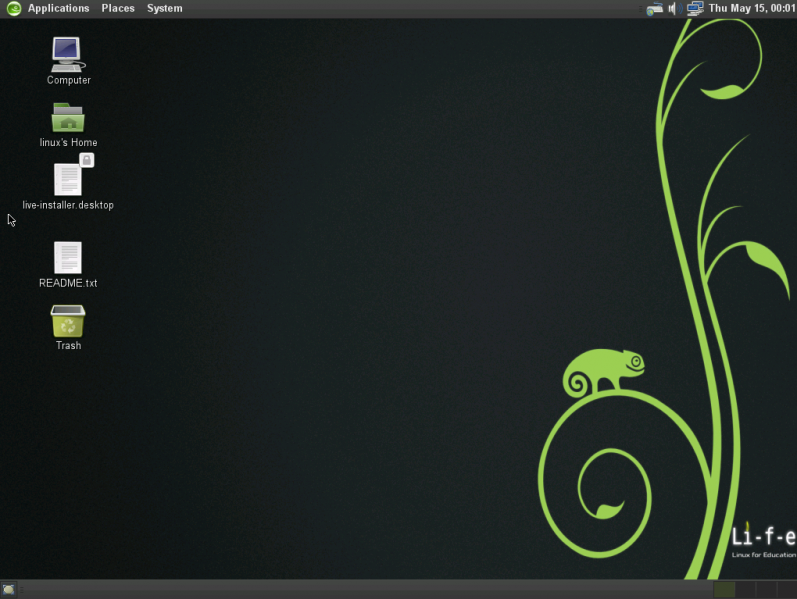 openSUSE Edu Li-f-e MATE is a surprise addition to the educational edition of the award winning and widely used openSUSE Linux operating system. The MATE desktop environment will provide for a faster working environment suitable for classroom use. As people started to ask, we checked all openSUSE servers and can confirm that none of them is affected by the heartbleed bug. For those users running openSUSE 12.2 and 13.1, we can just repeat what we always pray: please install the latest official updates provided by our glorious maintenance team. The server behind rsync.opensuse.org is re-installed now and already providing packages via HTTP again. But we faced an issue with the automation that creates the content of the “hotstuff” rsync modules: normally a script analyzes the log files of download.opensuse.org and arranges the content of these special rsync modules to provide always the most requested files, so our users have a good chance to find a very close mirror for their packages. But currently the script is not producing what we expect: it empties all those hotstuff modules. As the core developer behind this script comes back from vacation on Monday, we hope he can quickly fix the problem. For now we disabled the “hotstuff” modules (means on rsync.opensuse.org: we disabled rsync completely for now) to avoid problems. If you want to sync packages to your local machine(s) via rsync: please pick a mirror from our page at mirrors.opensuse.org providing public rsync. You may have noticed already that the openSUSE team installed a new version of openQA on the production server. An additional news item might be that this new version has seen also new hardware to run faster than ever. But not only openQA, also the database cluster behind download.opensuse.org has seen a hardware upgrade. The new servers allow to run the database servers as virtual machines, able to have the whole database structure stored in RAM (you hopefully benefit from the faster response times on download.opensuse.org already). And the servers still have enough capacity left, so we can now also visualize the web servers providing the download.opensuse.org interface. We are currently thinking about the detailed setup of the new download.opensuse.org system (maybe using ha-proxy here again? maybe running mirrorbrain in the “no local storage” mode? …) – so this migration might take some more time, but we want to provide the best possible solution to you. After the outage 1 month ago, it seems rsync.opensuse.org has similar hardware problems again. Again we did not see any output on the serial console any more and even a power cycle did not reanimate the system. As the hardware is located in the data center of our sponsor IP Exchange, we apologize for the delay it will take to fix the problem: we just need a field worker at the location who has the appropriate permissions and skills. Looks like the hardware behind rsync.opensuse.org now finally reaches it “end of life” status: we did not see any output on the serial console any more and even a power cycle did not reanimate the system. In the Service Teamâ€™s Cave, where the infrastructure of openSUSE servers and services runs, the openSUSE Service Team faced an issue: requests to admin@opensuse.org were managed only by mail, making it hard to keep track of all the open issues and leading to coordination problems. As some requests to this list also contain log in credentials, the list itself could not have a public archive. This could have exposed sensitive data to the public. So it is always complicated telling people what’s going on there, and even more complicated, allowing interested people to subscribe. (Please note: including credentials in plain Emails is never ever a good idea – it is even not the intention of the Service Team to get such credentials. But sometimes people don’t care about their sensitive data, or just realize too late that their log files contain information that should not be visible). But openSUSE – and especially the administration of all openSUSE services – is all about collaboration and communication. So hiding in a small cave might not be a good idea if you want to get some helping hands or reach out for collaboration. Today we took one big step forward with our infrastructure by integrating admin@opensuse.org into the ticket system available at http://progress.opensuse.org/ ! At first this may not sound very interesting, but please remember that this service is already integrated into our authentication infrastructure. Now everyone with an openSUSE account is able to Â check the state of public tickets (warning: tickets are set to private per default), create new ones a have a look at other public modules of this “openSUSE admin”-project – or become part of the team. Just to avoid confusion: sending an email to admin@opensuse.org is not only still possible but also the preferred way to reach us. For coordination and to be “reachable” for all those guys hanging around at some IRC channel, we now also have a public channel on irc.freenode.net: #opensuse-admin Feel free to say hello, thank you, or ask us questions. We at openSUSE team have been faced with one slight difficulty. We need to track people interested in the workshops so we can assure you can fit in beforehand, tell you some info from the workshop authors where they tell you what you should have with you or what is the workshop plan, and lastly even collect your suggestions. Where you are interested in the parts “Attendees list” which is obviously list of interested people (green is done byÂ TomÃ¡Å¡ ChvÃ¡tal to the amount of expected people to be there, it is NOT a hard limit, on the registration later on there will be printed sheet with the workshops which have the hardlimit, so you can write in even if you are not sure right now). Other list isÂ “Atendees suggestions” which is just field where you can express your ideas what you expect from the event or what you wish from the author to do. We would also like to apologise that we didn’t do this up-front during your registration, which we simply forgot (mea culpa) but for the next conference it is on the list and will be implemented in the OSEM tool which handles our sweet conference management. See you all on the conference!